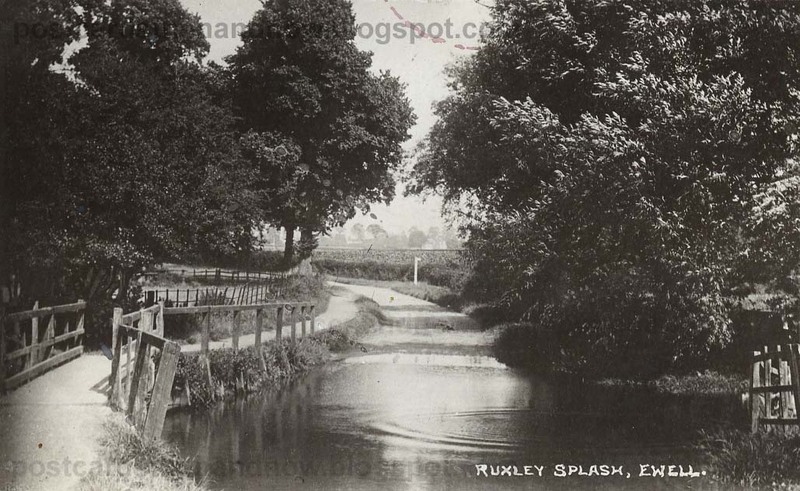 Ruxley Splash is unrecognisable now. 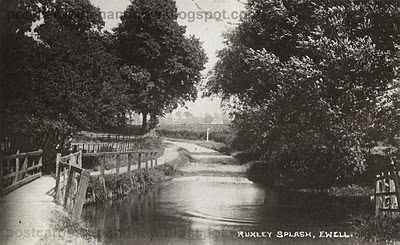 A watersplash is a ford - where a road crosses below a stream or river, in this case the River Hogsmill across Ruxley Lane. There are not many watersplashes left now, but they were a popular subject for postcard publishers a hundred years ago. This postcard is by Young & co of Teddington.